July is Devon Pollinators' Month - please help to Get Devon Buzzing! Loads of pollinator related events in July. 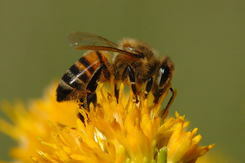 The Devon Pollinators’ Pledge - please sign and promote the pledge. Issues / ideas to raise with the LNP Board? The next Board meeting is on Friday 22nd July. The agenda includes Catchment Partnerships (presentation from the West Country Rivers Trust), Brexit, 25 Year Environment Strategy, devolution and 2017 campaigns. If you have any issues or ideas which you would like raising with the Board please email sarah.jennings@devon.gov.uk. 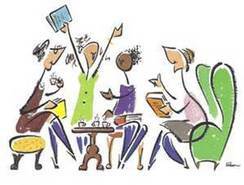 For a list of Board members please see our website. Winter Evening Workshops......what would be useful? At the recent SW Invasives Conference, organised by Kate Hills at South West Water, it was agreed that the Devon Japanese Knotweed Forum should evolve into a broader Devon Invasives Forum. If you are interested in getting involved please contact Tom.Whitlock@devon.gov.uk. Thanks to Jeremy Peirce, at JP Associates for helping to move this forwards. Sir John Lawton Lecture and LNP Spring Conference - ideas for 2017 lecture? A massive thank you to everyone who helped to make our first annual lecture and our spring conference a success with over 200 people attending each event. A recording of the Lawton lecture can be found on our website. Please send through ideas for a speaker at our 2017 spring lecture. Thank you to everyone who took part in Devon's Naturally Healthy Month in May and tweeted using #whendidyoulast. Around 80 events were held across the county, from health walks to bracken bashing and foraging. 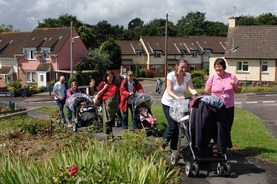 Watch the video produced by Active Devon summarising Walking for Health activities during the month. Naturally Healthy is an ongoing campaign and the Naturally Healthy working group is producing an Action Plan (led by Active Devon) which will be on the web soon. 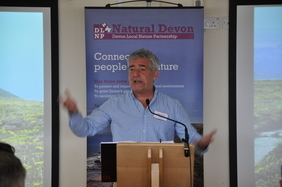 The last meeting included a presentation from Dan Bloomfield who is leading a 'Daily Dose of Nature' project. A workshop on social prescribing is being planned for the autumn. To find out more or get involved contact Hannah.Colston@devon.gov.uk at Active Devon. There are plans to organise a joint 2017 Naturally Healthy Month with Somerset. If you have any feedback on the Month or ideas for 2017 please contact Hannah. The September newsletter will include more information on work relating to our other workstreams including Outdoor Learning, Farming and Marine - as well as updates on key projects across the county from partners. If you have sent through articles already they will be published in Sep. If you want to submit an article please email no more than 100 words with a nice pic to max.anderson@devon.gov.uk by the end of August. Natural Devon is a collaboration of all those working to ensure that a healthy natural environment underpins a high quality of life across the county. Please get involved! Natural Devon's secretariat function is provided by Devon County Council's Environment Group.